Your body is designed to be active! But with a desk job and sedentary lifestyle, you’ve lost the critical body strength. Revive your strength with help from Coal Valley Chiropractic Clinic. Have you been feeling stiff or rundown lately? Let our experienced team adjust you with the highest level of care available. After your appointment, feel free to schedule a relaxing massage to help start or end your day! 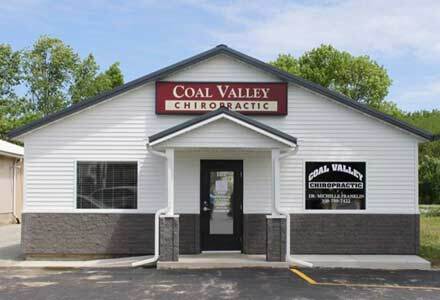 Coal Valley Chiropractic is proud to serve Coal Valley, IL and the surrounding areas. We are dedicated to providing the highest level of chiropractic care along with friendly, compassionate service. We welcome all new patients to our office. We invite you to contact us today. If you have any questions or concerns, please don't hesitate to call us at (309) 799-7422. 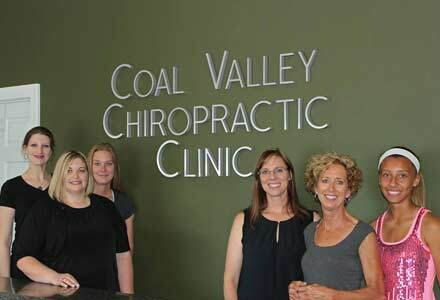 At Coal Valley Chiropractic, we offer a variety of services to care for your body. If you have any questions or would like more information on how we can care for you, please contact us today.